Sardonyx. 1st—2nd centuries. 1.5 × 1.8 cm. Saint Petersburg, The State Hermitage MuseumInv. No. Ж 53. Sardonyx. 1st—2nd centuries. 1.5 × 1.8 cm. © 1971 Photo, text: Neverov O. 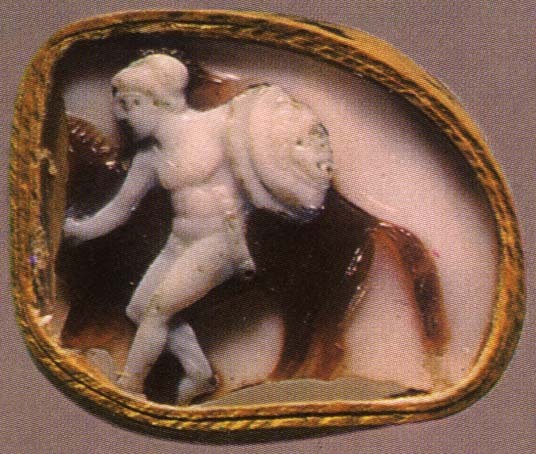 Antique cameos in the Hermitage Collection. Aurora Art Publishers. Leningrad. 1971. P. 93, pl. 95.